Dave and I aren’t the best equestrians out there, but we do love riding horses. 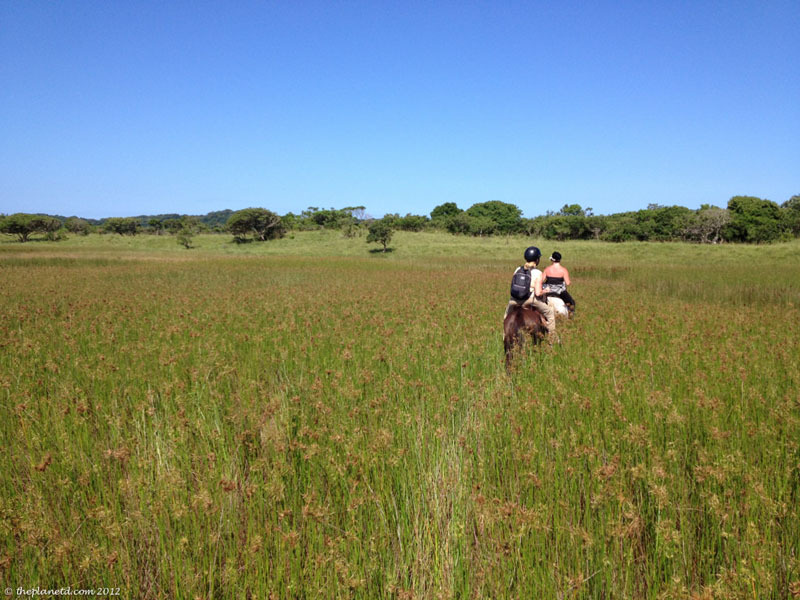 So when we had the chance to go on a horse safari with Bhangazi Horse Safaris in the middle of iSimangaliso Wetlands, South Africa's first world heritage site, we were extremely excited. What would it be like to among the African wildlife rather than hidden behind the bars and tin of a safari vehicle? 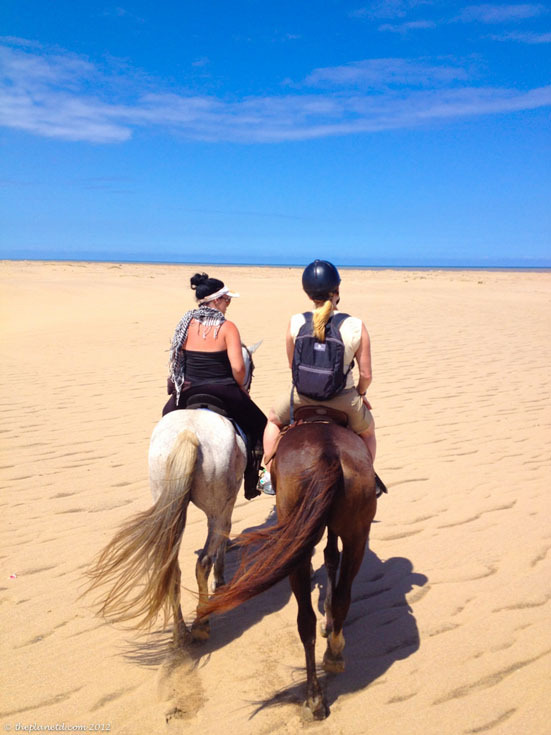 Our trip started off at the beach where we met our guide and owner of Bhangazi Horse Safaris, Tori. 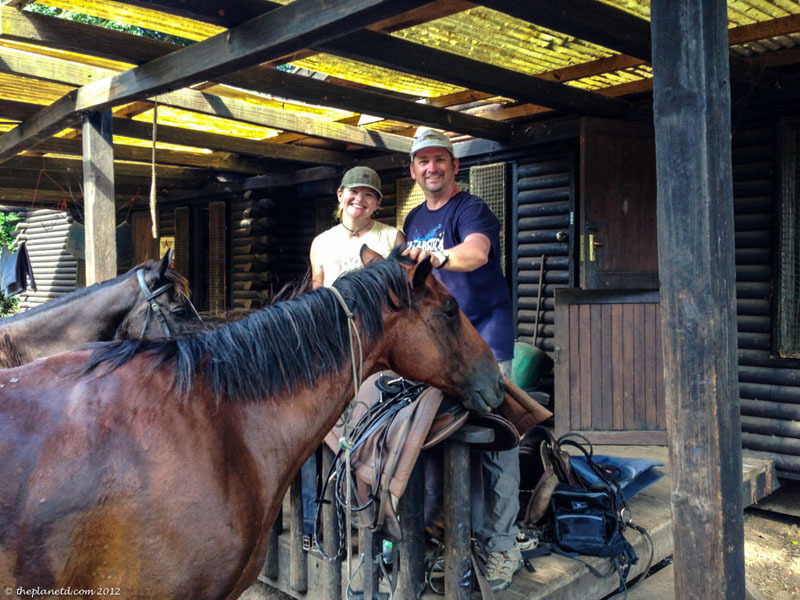 Tori is a peppy gal from Australia who has traveled the world and now is settled in the town of St. Lucia, South Africa running horse safaris with her husband and dozen or so horses. She used to have more, but she found it was too much to handle by having so many horses at the stable. Twelve is nice and manageable and she can have a life as well! 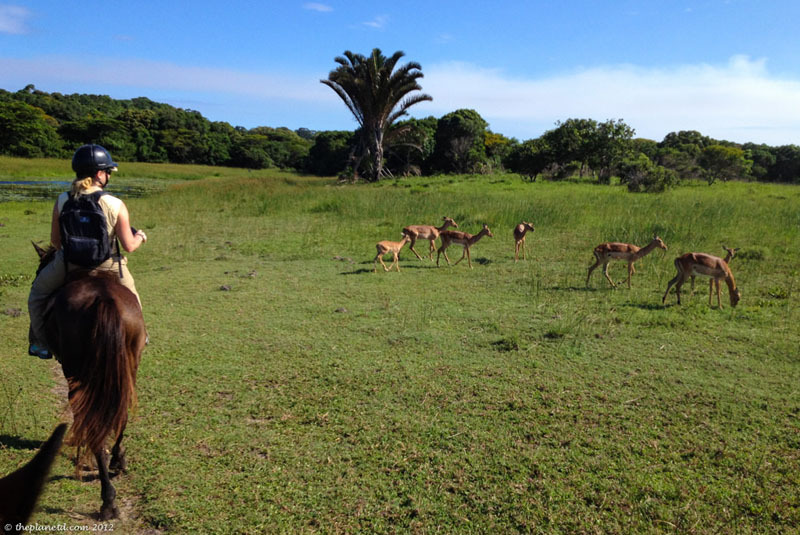 St. Lucia is located within the iSimangaliso Wetlands and is the only private town in the world that is completely surrounded by a world heritage site. This area also houses an incredibly beautiful beach stretching 220 km along the coast. Because of its location on the Indian Ocean, the water is warm too! It is nearly void of people and the coast is pristine. Here, we saddled up our horses, while they munched on some grass and grabbed a last minute drink of water before we started our ride along the sand through a few fishermen and children building sand castles. It was a relaxing start to our three-hour combined beach and game ride safari. We took a leisurely stroll to down the beach as we chatted about life in St. Lucia. In the iSimangaliso World Heritage site, you'll find the second tallest forested dune in the world (The first is in Australia) the highest bird count in all of Africa and home to the largest black rhino population in the world. 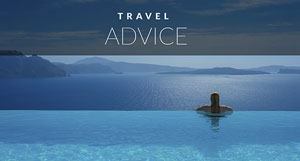 St. Lucia is an amazing destination complete with everything you would want out of a South Africa vacation. 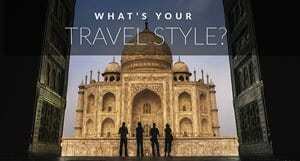 It has beaches, wildlife and adventure. We could spend an entire trip just exploring and relaxing in this sleepy town. 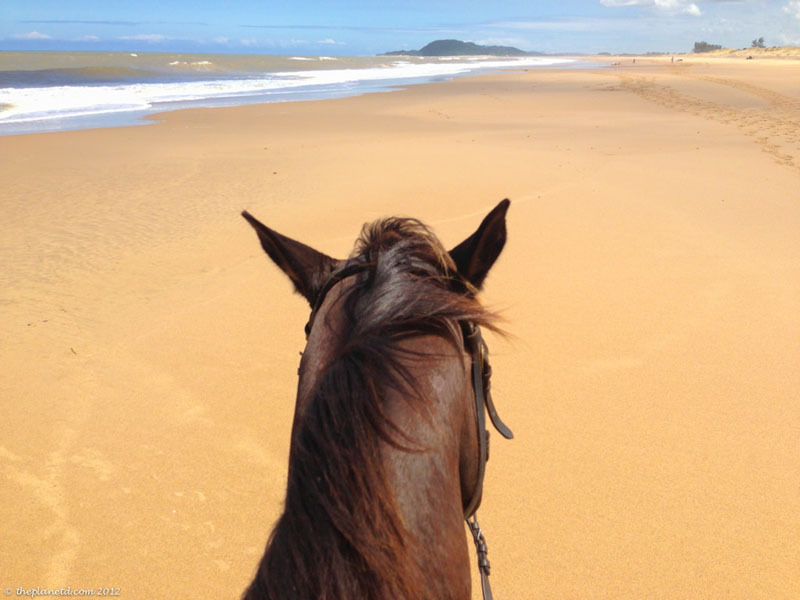 The beach was the perfect place to get to know our horses and get comfortable on the saddle. It's also a time that you can let loose if you want and go for a run. Our horses were feeling pretty frisky today according to Tori and they were itching to run. Dave and I aren't the most experienced of riders, so we decided not to let them high tail it down the beach at full speed. Instead, we kept a leisurely yet energetic pace. With Tori nearby, we always felt safe and sound. It was after a long stretch that we pulled off for a bit to look at the estuary in search of hippos and crocodiles. 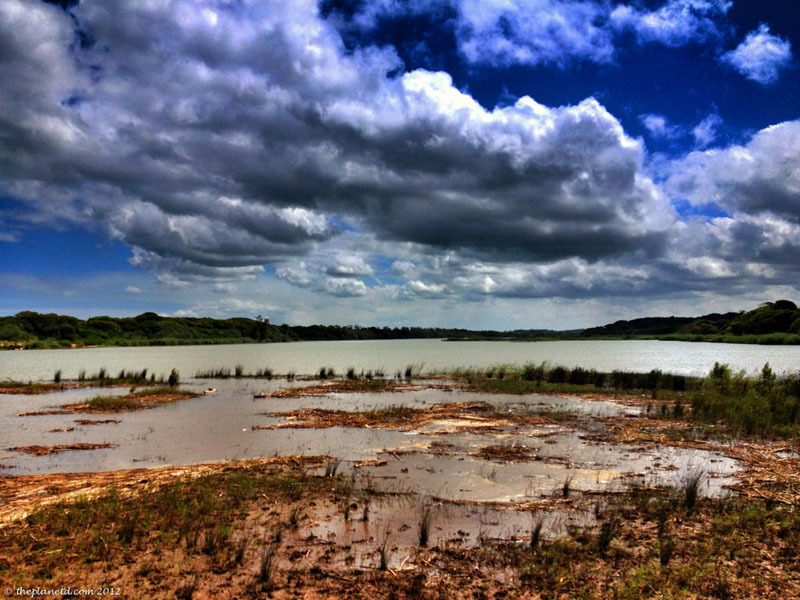 The iSimangaliso also has Africa's largest estuarine system. No wonder this place is a World Heritage Site! We had just been kayaking with the 1200 crocs and 800 hippos that inhabit the estuary the day earlier so we weren't too disappointed when they didn't make an appearance for us today. The sun was hot and crocodiles and hippos stay cool by keeping under water. The breeze was also a welcome change from the heat. Today was a very hot day, but Tori made sure that her horses had plenty of water and relaxation. Before we began the game ride portion of our safari, the horses had a rest and the chance to drink some more water. These horses are very well taken care of and very healthy. They're also free to roam the land when not on a trail ride. Torri, believes in an open corral system for her horses so when they’re not on trail rides, they’re running free in the reserve. 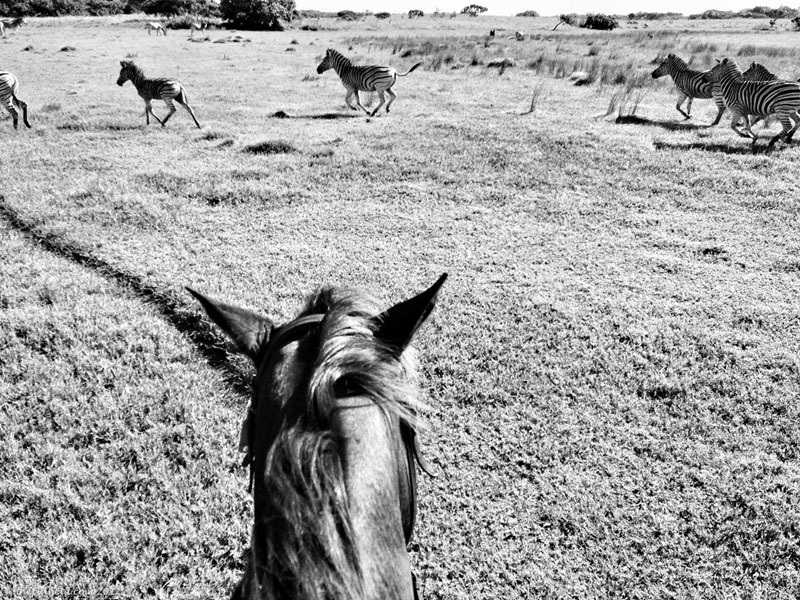 Her horses know the wildlife well, so when we come for a visit, the animals on the reserve, aren't spooked at all! As we entered the reserve, our excitement mounted. 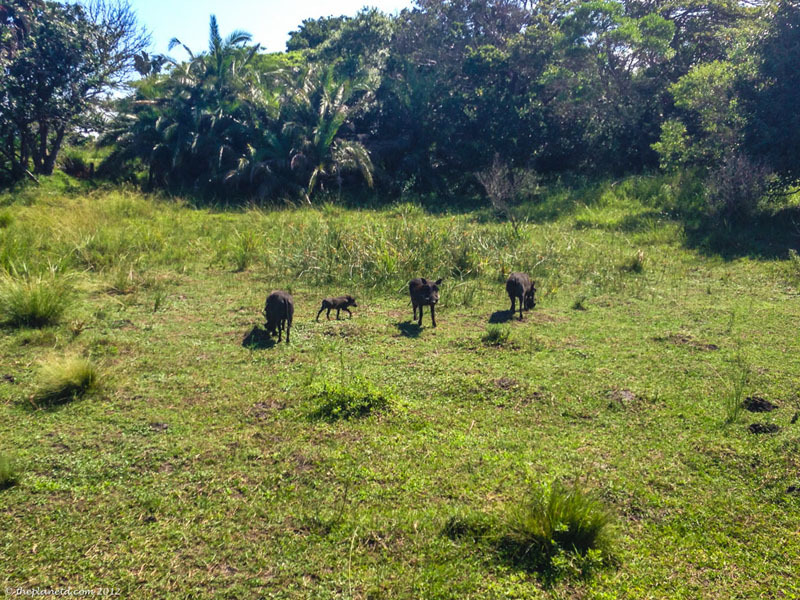 We saw a family of warthogs to our left and for the first time, they didn’t run away in a panic. Warthogs are skittish animals and whenever we’ve been on safari in a vehicle, our engines scare them away before we even get close, but on a horse, they aren’t as afraid. They continued on with their day like nothing out of the ordinary was happening at all. The landscape was beautiful and as we walked through the long grass, we cam upon impalas, water bucks and duikers. It was when we got closer to the watering hole that things got exciting though. 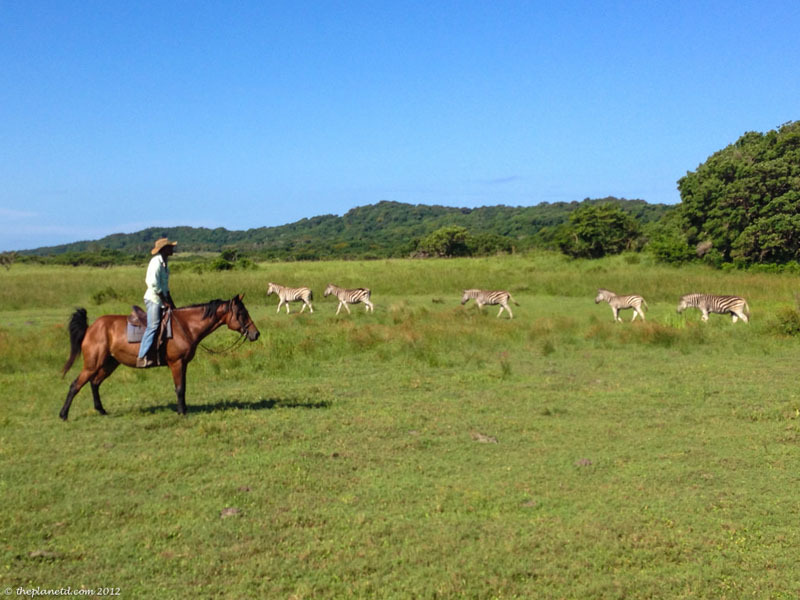 A herd of zebra surrounded us and ran in circles creating a corral around our group of four. It was an incredible feeling to feel the energy and power. It’s like the zebras were showing off to our horses. Tori told us that when she first bought the horse she was riding, she let it out to graze and didn’t see it for two weeks! It actually decided that it wanted to join the zebras and every so often she caught a glimpse of it in the pack. It must have been kicked out at one point, because it eventually returned to the ranch. I think the zebras still remember the horse and feel a kindred spirit with the rest of them because they definitely weren’t shy. It felt like our horses wanted to join in on the run too! As we walked on we came upon a herd of Wildebeest who also seemed comfortable with the horses we were informed that many times on safari, the wildebeests will walk with them for a while back to the stables. Today, they were happy to relax and bask in the sun. I couldn’t believe that we were actually riding among the wildlife of Africa. We’ve been on a few safaris now, but nothing was quite as wondrous as doing a safari on horseback. Taking the three-hour beach/reserve safari is the perfect blend of relaxation and exhilaration. The scenery was beautiful, Tori was an amazing host who had plenty of stories to tell and to be able to see the wildlife at such a close proximity without needing to be in a safari vehicle is like nothing you’ll ever experience. And hey, how often to you get to pick up a hippo bone just left on the ground for anyone to see? See Kayaking Hippos and Crocs Oh My! If you find yourself on the Eastern Cape of South Africa, make sure you give yourself several days in St. Lucia, there is so much to do here. 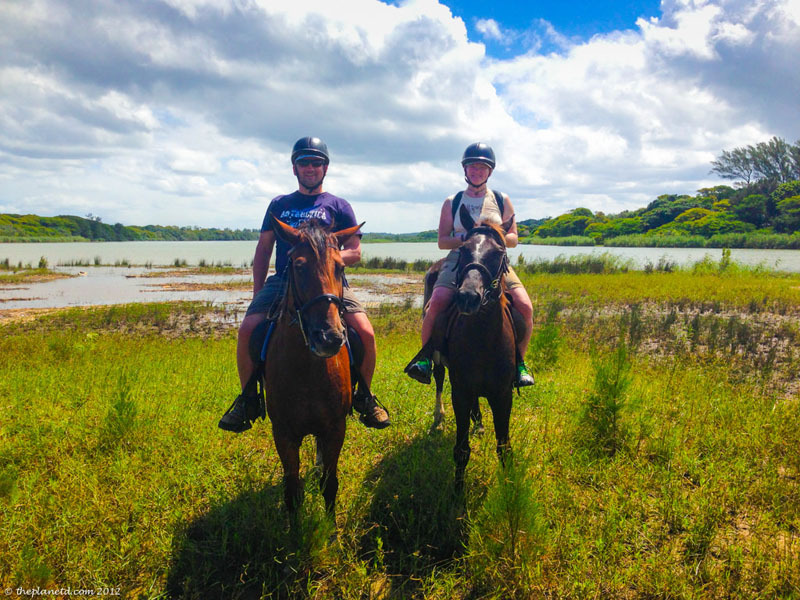 As our kayaking guide told us the day earlier, the horse safari is one of the best things you can do in the area and we agree! We had so much fun on this excursion. Time flew by and yet, we felt that we had the perfect amount of time on the horse. Our day ended at the stables located right next to the iSimangaliso Wetland Park. The horses now had a break for the rest of the day and Tori drove us back to the beach where we picked up our car. 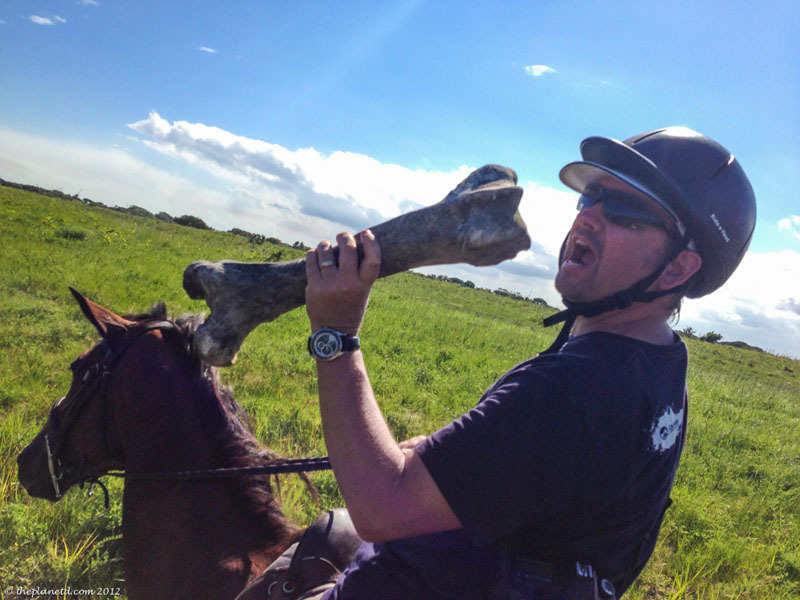 If you find yourself in the province of KwaZulu, make sure to try a Bhangazi Horse Safari. 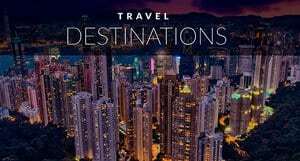 St. Lucia is located 3 hours outside of Durban. 14 Responses to "A World Heritage Site Horse Safari"
I will surely come back for more information. This looks incredible, and right up my alley. 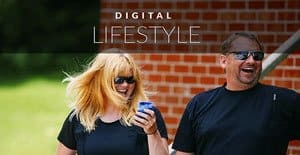 I did a game ride while I was volunteering at Antelope Park – as we also worked with rescue horses, along with lions – and I was amazed at how close the game allowed us to get while on horseback. 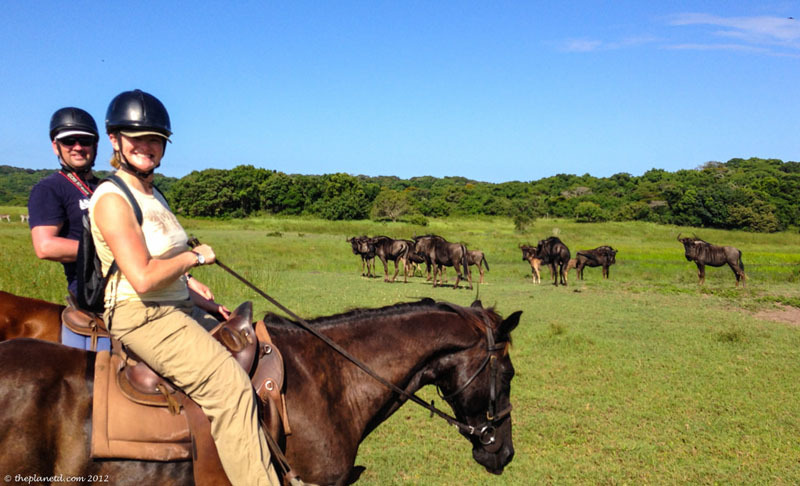 My ultimate favorite though was getting to chase the wildebeest – tons of fun! Will definitely look into this if I make it to that area! It is such a wanderful way to get around, I presume horseback riding visitors do not disturb the wildlife as much as cars and trucks do. Horse safari? That’s the first time I hear that. It must be a great experience! Wow. This looks amazing. I love horses, though I’m a very inexperienced rider, and the scenery there is stunning. What a great way to explore the place than going in a jeep. I love horses and sure would enjoy the horse safari. I swear this is the best way to see a place! 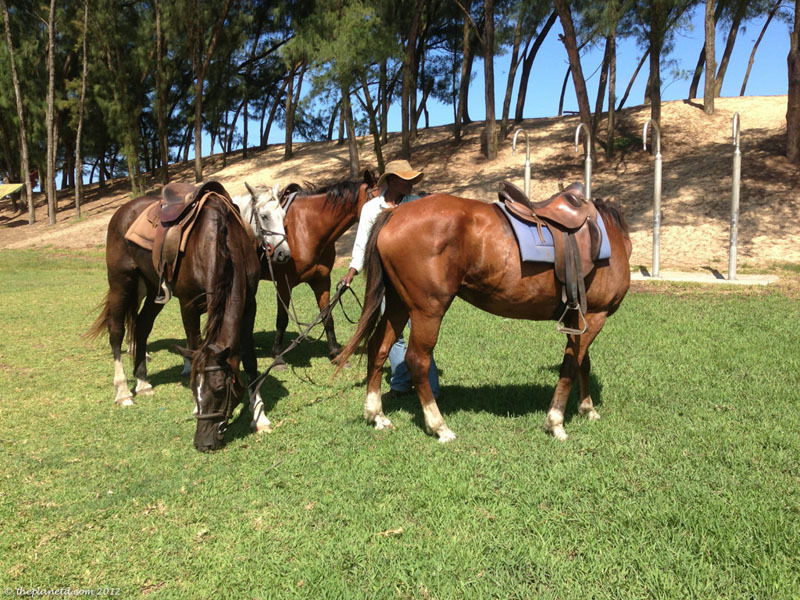 I looooved horseback riding in the DR.